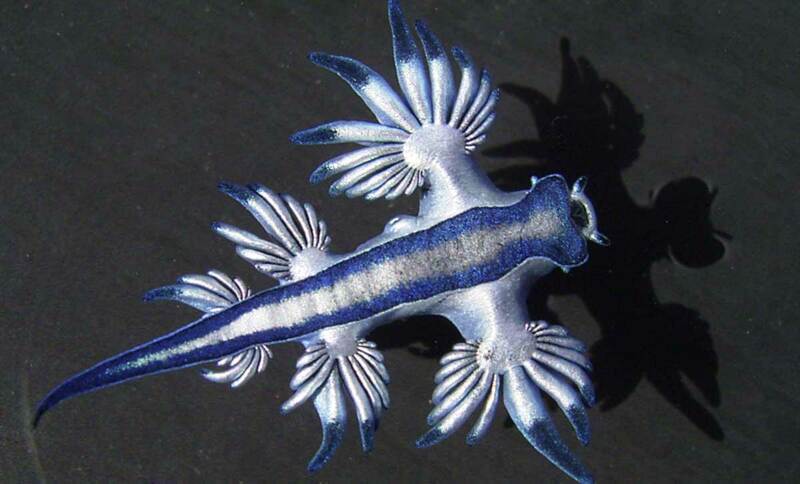 This is the rarest creature we have ever found. I am pleased my son Ben managed to get some photos before setting it back on its way. This mollusk has no shell as this would make it sink. It eats Portuguese-man-o-wars and keeps the powerful stingers as spoils of war for its own defence. Its underside is very light blue, like the sky. the topside is man-o-war color.